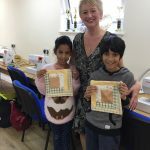 Thursday afternoon sewing class in Farington! 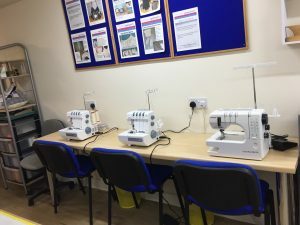 The Thursday afternoon sewing class is one of our budget ranges of weekly classes, tailored to students’ personal requirements. We host weekly classes for people of all abilities. These mixed ability classes are run in blocks of eight weekly sessions from our brand new custom built studio in Farington! 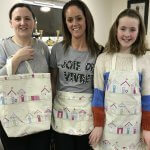 Beginners are encouraged to start with a simple project such as a tote style shopping bag before moving onto a simple garment, although Janet is happy to discuss personal projects with each student and advise on this. Students are able to work on a project of their choice and at their own pace and will therefore require a pattern and fabric in line with that. 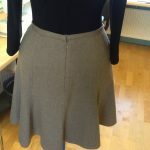 In fashion garments, the emphasis is focused on fit and finish; therefore a test garment (toile) is made in calico to perfect the fit, before constructing in fashion fabric. 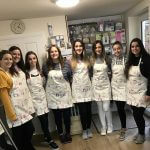 If your preference is to make cushions, curtains and other soft furnishing or craft projects, Janet will discuss this and the needed requirements with you. 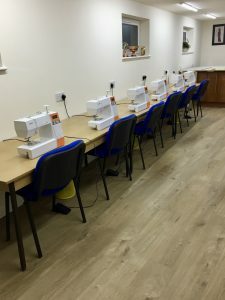 No need to bring, or even own a sewing machine as quality Janome DKS30 modern sewing machines are provided. Most new students are unsure of what machine to buy so trying out a class machine first is a wise move! General sewing equipment and haberdashery is available to purchase at the school. Pins, scissors, tape measure, unpick, sewing gauge and thread are generally all that’s needed to start with, in addition to your fabric. Calico is also stocked and advice provided on choice of pattern and size required. We are ideally situated just minutes from M6, M61 and M65 motorway junctions. 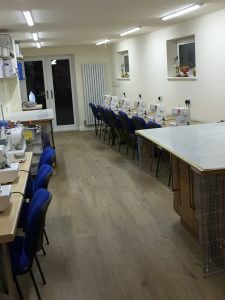 Our brand new custom built studio in Farington has excellent spacious ground floor facilities and free car parking. As well as our quality modern Janome sewing machines and overlockers, we have excellent pressing equipment from Philips and raised cutting areas to save your back! Small classes and expert tuition ensure that you will complete your course with confidence. 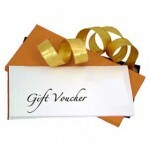 The regular price of a one-day workshop is £80.00. The discounted price of £50.00 a day or £25.00 per half-day session is dependent on students enrolling on a complete block of classes. Missed classes can’t be credited further as they are already heavily subsidised. This helps us to keep classes competitively low. 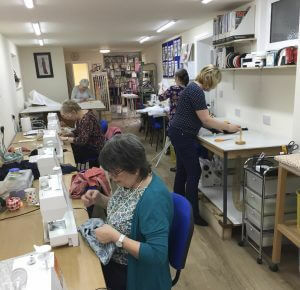 To book your place on the Thursday afternoon sewing class, add quantity, select ‘make booking’ and follow on line instructions. Bank transfer details will be emailed to you. There is a £10.00 administration charge for booking cancellations up to seven days before start date. We are unable to refund fees for cancelled bookings after this time, however a transfer can be arranged which incurs a £30.00 surcharge.